City e-mails raise question: Are officials more concerned about crashes or cash? In the city the Dallas Cowboys call home, some red light cameras write checks as big as an NFL salary. One camera at northbound Cooper and Pioneer Parkway in Arlington dished out $2.5 million in red light tickets in just four years. In the City of Fort Worth, records show cameras have generated $23 million. The top money maker is on the West Freeway Frontage Road at Ashland Avenue, bringing in $1.7 million since 2008. Red light cameras were installed to save lives to prevent dangerous crashes and to catch people who are breaking the law, and there's evidence cameras work. A Texas Transportation Institute study found a 26 percent decrease in red light crashes at intersections after cameras were installed. But some e-mails obtained by NBC5 Investigates raise questions about whether some city officials are more interested in reducing crashes, or collecting millions of dollars to fill gaps in city budgets. Through an open records request, NBC 5 Investigates obtained a Dallas City Hall e-mail string talking about red light camera revenue. In one email, a city staffer said someone in the City Manager’s office "needs an explanation of why the following items are reporting low on revenue and what will be done to address the issue." The list includes parking fines and red light cameras. Another staffer writes back explaining, "Red Light Cameras are projected to be under-budget due to a decline in the number of violations per site." An Assistant City Manager replies, "…who is picking the red light sites and what department are they in?" Del Carmen said there's a danger that a noble, lifesaving program could become driven more by a need to boost city budgets than by the safety goals cameras were intended to achieve. "They were never meant to produce a dollar figure that at some point it would be an expectation," del Carmen said. Despite the emails, the City of Dallas insists camera locations are chosen only on the basis of crash statistics and other safety concerns. Raul Magdaleno, who heads the City of Dallas commission that helps decide where to put red light cameras, admits the city does move cameras sometimes if the number of tickets decreases at an intersection. But Magdaleno said decisions on where to put cameras are based on which intersections have the greatest safety need, not on any dollar amount target. In Texas, state law said cities can only spend red light ticket money on traffic safety programs. In Fort Worth, the city uses their portion of the money to make roads safer. "Intersection improvements, traffic signals, school sidewalks and pavement markings," said Randy Burkett, Fort Worth traffic engineer. In Arlington it pays for a police DWI program. Arlington and Fort Worth told us they'd find other ways to pay for those things if tickets dropped and the money dried up. "If we have fewer accidents, I don't think anyone is going to quibble with that and we'll consider it a success," said Rebecca Rodriguez, spokesperson for the City of Arlington. And, in Dallas, where a camera at Lovers Lane and Central Expressway wrote 30,000 tickets in four years, the city said the program will stay focused on the mission of changing driver behavior to save lives. "Try talking to a mom who's just lost her kid because somebody passed a red light because they were texting and passed a red light -- to them this is not about revenue," said Magdaleno. But as the cameras flash and the money rolls in, cities are getting used to a giant pot of extra cash. "I do expect to see more and more of these cameras to appear on your way to work and my way to work on a daily basis," said del Carmen. 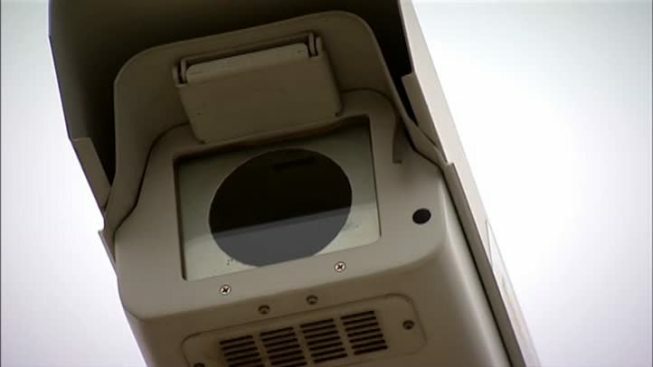 Under Texas law, cities are also required to split red light camera money they collect with the state. That money is supposed to fund regional trauma centers. But the state comptroller’s office tells NBC 5 Investigates $64 million is just sitting in that fund. The legislature has not given it to the hospitals yet. In a statement, State Sen. John Carona, told NBC 5 Investigates, "We told the taxpayers this money would go to a specific purpose, and we need to live up to that." * City of Dallas dollar amount figures are based on the number of citations issued x $75/ per citation since Fiscal Year 2009.